Live music by The Nerds on the outdoor stage of the Fort Lee Community Center at 1355 Inwood Terrace( inside in case of rain). 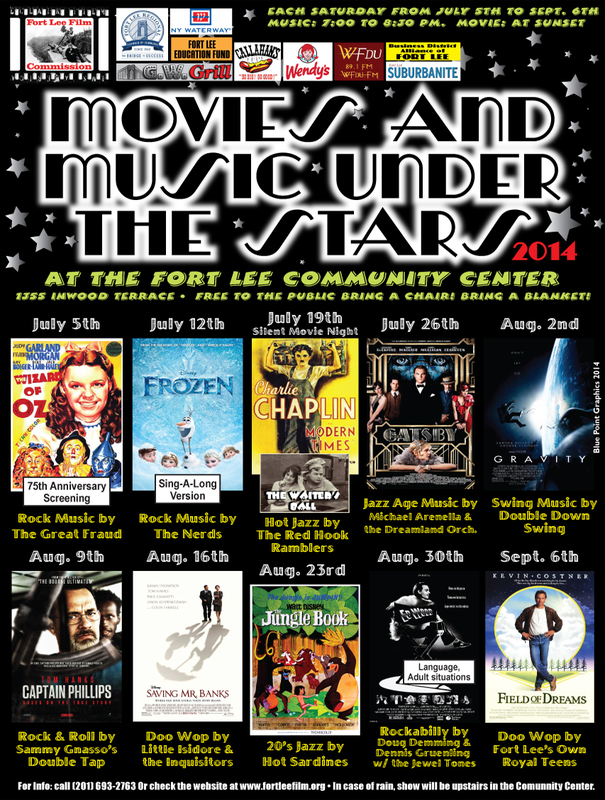 At sunset we will screen the popular film Frozenin its singalong version. For more info visit www. Fortleefilm.org or call (201) 693-2763.